Posted November 11, 2009 in Fantastic Four, Gabriel Hardman, The Watcher. 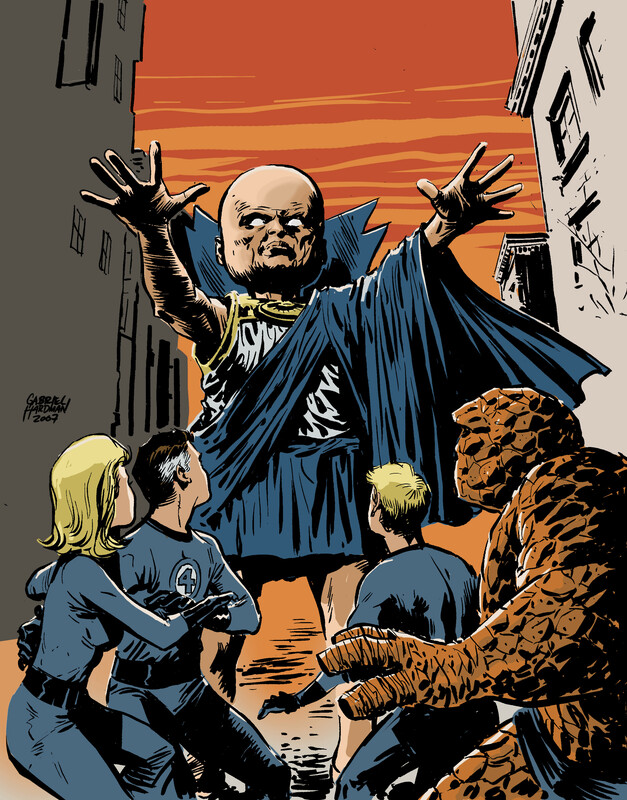 Fantastic Four and The Watcher by Los Angeles artist Gabriel Hardman. Gabriel has recently returned to the world of comics after a successful career as a storyboard artist on such films as X-Men 2, Superman Returns and Spider-Man 3. He currently provides art for Marvel’s Agents of Atlas and has recently collaborated with his wife, Corinna Sara Bechko, on the Image/Shadowline graphic novel Heathentown. More of Gabriel’s work can be found at DeviantArt and ComicSpace.